Russell has over 29 years of experience in the investment management industry as both a manager and individual contributor. Prior to co-founding Nu Paradigm, O’Brien was Director and Senior Member of the business development and investor relations unit at FLAG Capital Management, a private equity firm offering a diverse array of private capital market exposures. Prior to that, he was Managing Director, Head of Institutional Sales & Consultant Relations – North America at Nexar Capital, a hedge fund established by the former team of Société Générale. Before Nexar, O’Brien was Director of Alternative Investments for Russell Investments U.S. Institutional Investor Services, where he was responsible for providing institutional clients with advice and solutions regarding their exposure to private equity, hedge funds, and real estate. Prior to this, he was Director and Head of Institutional Sales & Marketing, North America, Portfolio Transition Services for Credit Suisse. 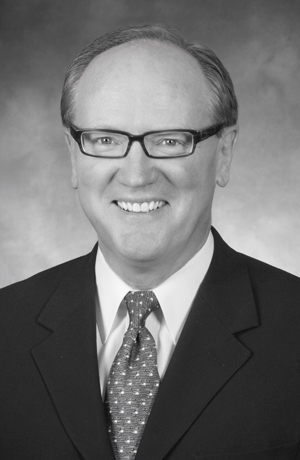 O’Brien also previously held positions at David L. Babson & Co. and State Street Global Advisors, where he was part of the original team that formed SSgA’s Advisory Strategies Group. Russell is an attorney and is Series 65 and 63 registered and has also passed the Series 7, 9, and 10 exams. He is a graduate of Suffolk University Law School where he was awarded his J.D. and is also a graduate of Tufts University where he earned a B.A. in Social Psychology. He is a member of the New England Employee Benefits Council and the Massachusetts Bar Association.